Hi! We're Farrah and Audrey, and we both will 100% pay for guac at Chipotle. YES, WE KNOW IT'S EXTRA. 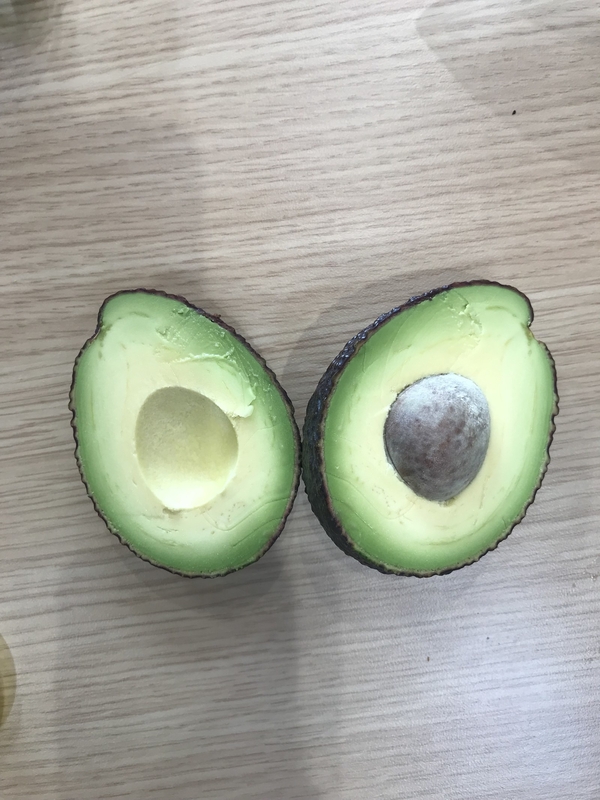 It's no secret that Chipotle has released their infamous guacamole recipe online, so we decided we'd see how it compared to the real thing — and if we could fool our co-workers. The recipe is pretty basic: six fresh ingredients — and the bonus of us eating it at no extra charge. 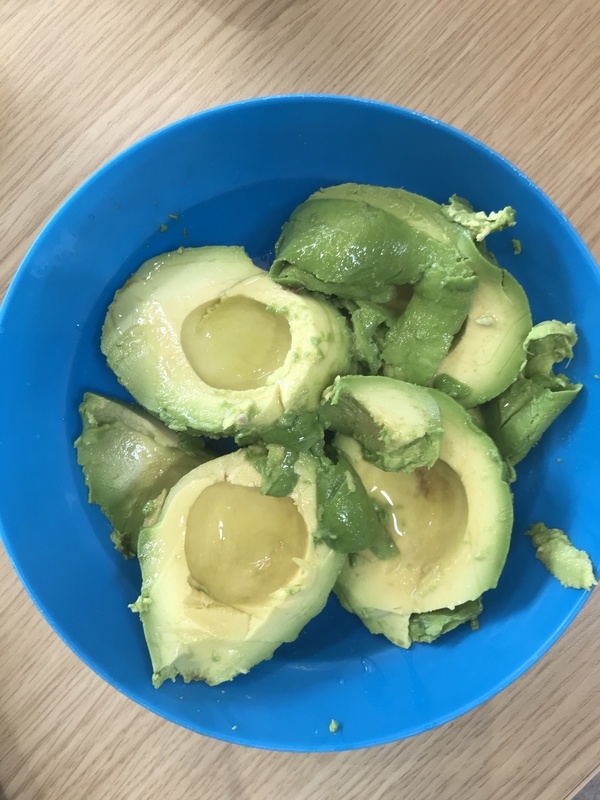 We didn't use 48 avocados, but we got the two silkiest, creamiest avocados known to mankind, halved them, then topped them with lime juice. The trick was to get the chunky/creamy ratio similar to Chipotle so people couldn't see a difference. It was at this time our hands started to hurt from the effort. We firmly demand that the people who have the avocado-smashing job get a 200% raise. After we mixed in the rest of the ingredients, this was the final result. Not bad, right???? Immediately, of course, you can see a color difference. Ours was a deeper green and Chipotle's was a yellow/green. For our blind taste test, we sat our co-workers down with both guacs side by side. Then we had them taste both and make their best guess. In this round, four people got it correct in a blind taste test, and one person got it wrong. All five of our Guac Experts agreed that color and spice played a role in correctly determining which was which. They were also thrown off by the color. Many of them said our shade of green looked fake! For round two, we decided to cheat and add greek yogurt. The recipe doesn't call for this, but we thought it would make it creamier, dull the spice, and get it closer to the color of Chipotle's guac. WE KNOW that we didn't exactly play by the rules because Chipotle's guac is vegan, but we were determined to stump people. Plus, Chipotle's recipe tastes creamier, so we were convinced they added a secret ingredient that they didn't add in the original recipe. And it almost worked! In round two, three people were able to tell the difference this time, and two got it wrong! After we tried it for ourselves, we realized ours was significantly spicier. AHA! Even though the recipe says to include the seeds, we're pretty sure it's what gave our guac a defining kick! We've also seen, after combing through the comments on Chipotle's guac-making YouTube video, that they soak the cilantro in lime juice before adding it. This makes sense because we thought Chipotle's tasted a little extra lime-y. In the end, seven people guessed correctly in our blind taste test, while three people guessed wrong! So what does this whole science experiment mean??? If you want to bring kickass guacamole to your next party, make Chipotle's recipe, but nothing can truly duplicate the OG.